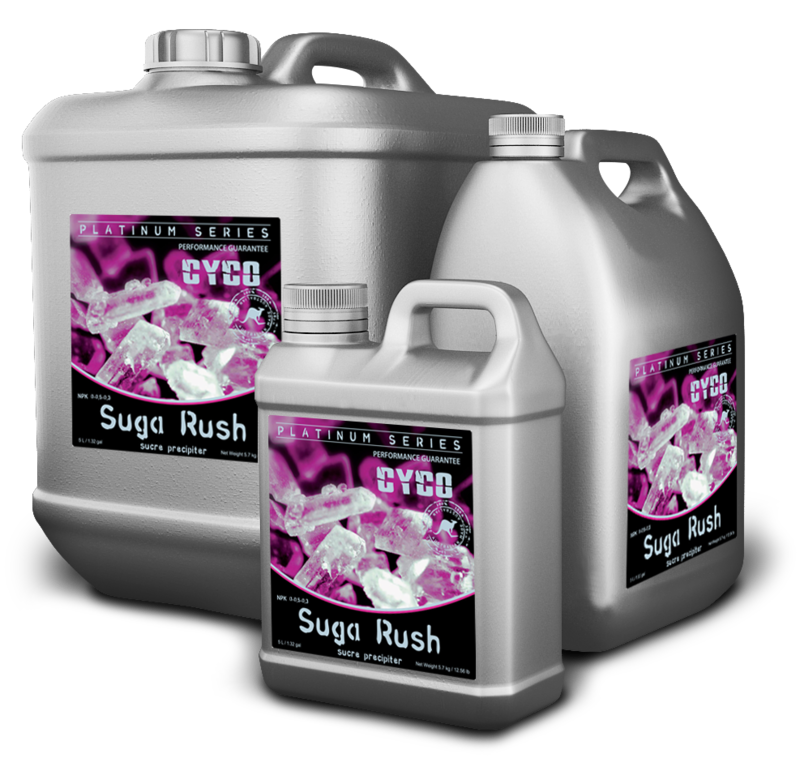 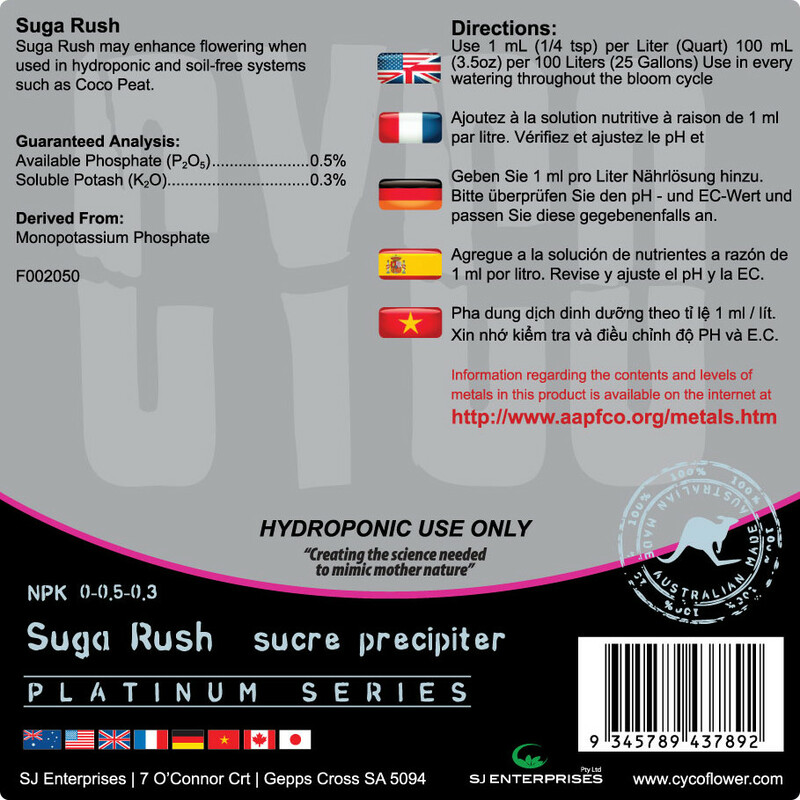 Cyco Suga Rush may enhance flowering when used in hydroponic and soil-free systems such as coco peat. 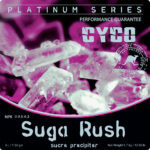 Suga Rush contains potassium which is essential for the translocation of sugars. Suga Rush is used only in the bloom period at 1ml per liter. 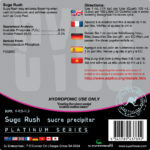 Description: Cyco Suga Rush may enhance flowering when used in hydroponic and soil-free systems such as coco peat.